The United Kingdom has always had a phenomenal reputation for its TV output. Whether it’s anarchic comedies likes Monty Python, or some cult sci-fi hits like Doctor Who, it’s clear that British TV producers have a knack of providing us with essential viewing. So what are some of the biggest UK television titles of recent years? Here’s a selection that show that the UK has lost none of its ability to bring a smile to our faces whilst making a few subtle subversive comments! 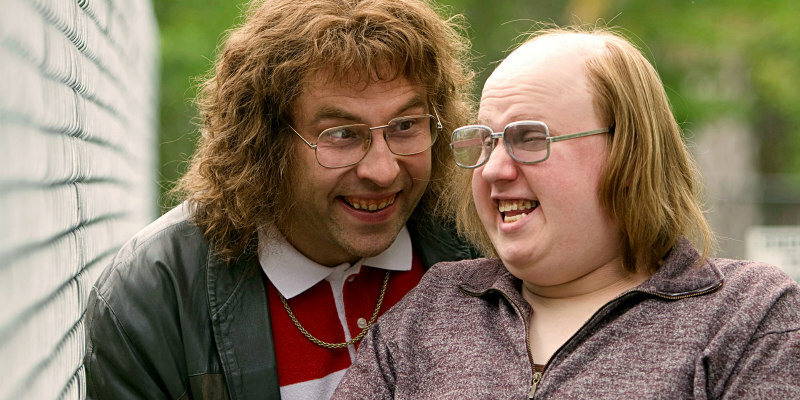 For an enlightening picture of the UK in the 21st century, check out Little Britain. This anarchic sketch-show is packed with weird and wonderful characters that make up the British landscape. Whether it’s the likes of Vicky Pollard providing a fashion template for the nation’s underclass, or Daffyd Thomas famously declaring himself to be ‘the only gay in the village’, Little Britain made for compulsive viewing. And seeing as it even became a video game for the PlayStation 2, as well as a Little Britain slots game at the CasinosGuide777 website, it shows how the success of the show continues to grow. For those who find Little Britain a little reactionary, then The Royle Family could offer a good antidote. This captivating show documented the humdrum life of a working class family in Manchester, and its wonderfully crafted script and perfect performances from the likes of Ricky Tomlinson and Sue Johnston gave voice to those frequently marginalised by mainstream media. But it was the much-missed Caroline Aherne who gave this show its visionary appeal that lives on through a planned outtake tribute and even a Royle Family boardgame! One of the biggest surprise TV hits in recent years is Mrs Brown’s Boys. This wildly successful UK-Irish coproduction features the comedian Brendan O’Carroll as a particularly outspoken mother who takes great delight in manipulating the lives of her six children. Although the comedic concept of a middle aged man dressing up as a woman might seem a little out-dated, it’s thanks to O’Carroll’s talents that the character of Agnes Browne has even been snapped up by the BBC for her own celebrity talk show. And whilst the show might not yet have its equivalent of a Little Britain slots game or a Royle Family boardgame, it’s clear that this Mrs Brown’s Boys is starting to become a national phenomenon.